‘Winter’ and ‘camping’ – ask the summer camp lovers and the answer would be a big “No”; considering that the odds of camping survival are tougher and the camp sites are less entertaining! But there are those who love to camp in winter; those who love to sit around a warm fire during a cold night and share stories, songs and memories with their friends and family. A cosy fire and the warmth of a loving family or friend circles – what could be more enticing that that on an outdoor camp. But camping out during winter can take a lot more preparation than summer camping. But don’t let the odds beat you or your adventurous spirit. After all, with a little preparation, it could be the best way to spend the weekend with your family to beat the damp and depressing cold. Here are some useful and simple tips that can help you, and make camping survival look easier and simpler than you believed it could be! Winter and fire go together…or at least, it should if you intend to be healthy and happy. And this becomes even more important when you don’t have the concrete walls of your home to keep you warm from the damp and cold elements of nature. Although a summer campfire has more of entertainment and fun value, a winter campfire has a more practical and safety value attached to it. So, make sure you have all you need to get a decent fire started; and started much before you begin to feel the absolute need for it! Yes, winter evenings come calling earlier that you would expect; and so do their companions, and so it is best to be prepared even before they come knocking. Your temporary shelter, drink break, and all other camping arrangements can wait! Whether your old school and decide to stuff some lint and cotton for tinder or are the new ‘hep’ guy on the block with the magnesium fire-starter; just ensure you have all you need to start a decent fire and keep it going! Dress to kill…and you definitely have to dress to kill the cold or it could kill you! Think of camps and trekking, and you invariably think about dressing light and less. But winter camps don’t work that way! 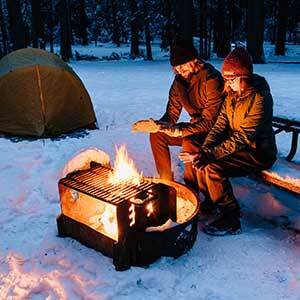 You have to change your camping survival tactics if you really want to enjoy a winter camp. Nights could get colder than when you started your cosy nap; so, wear all you have. And if you can afford to carry hot bags, fill them with hot water and make them your cushions and pillows! You can’t sit up all light tending the fire!! Your trekking shoes, however comfortable, might not help you in the snow. So go for boots, but make sure they are waterproof. Forget your cotton socks, time to pull out your woollens. The last thing you want to do in a camp is to feel warm and itchy. So air out your wools before you bring them to camp and preferably go for merinos or other fleece blend varieties that guarantee warmth without the pinching and itching! Don’t ignore your head, neck and hands. They need to remain warm, if you need to remain warm. Light-weight packing for winter camps is still possible if you choose the right jacket and the right warm clothes to accompany you. Welcome the sunrise! 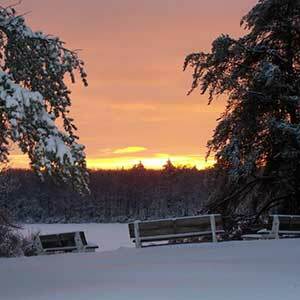 Summer camps might call for secluded and well canopied trees; but winter is a different story. Look out for a bit more open space and angle your tent or shelter so that the morning rays can warm you up. But take care not to expose yourself to the harsh winds either. Put simply, make sure you take your geography lessons seriously before you begin your winter camp. Hot steaming chocolate or piping hot tea…whatever your choice, make sure you have it. Winter and cold might not make you want to keep sipping on water, but remaining hydrated is even more important that you think it is! Liquids not only help you keep hydrated but also give you the energy you need to see you through your camping activities. Some physics, some basics! We all learnt about evaporation and condensation in school. Well, if you still remember what you learned, you might realize that all that warmth you build up inside your tent will not only protect you from the outside cold but also lead to condensation in the wee hours of the morning! So expect some slight snowfall inside the tent! One way to completely avoid it would be to leave a breathing hole for your tent; but then it would also act as a window for your heat to escape. Or simply accept the dawn snowfall and dry your sleeping bags during the day so it is clean for the following night! Stay dry, stay happy. While slipping into your sleeping bag, don’t forget you are in the company of nature. So while you might prefer to shed your clothes and be natural for your beauty sleep, a winter camp might be the wrong place to do that! Stay clothed, in fact, well clothed; stay dry and warm and stay protected. Know that hypothermia can not only kill the fun of winter camping but could also probably kill you. Don’t get deceived by the warmth! Planning, planning and planning! Yes, whether you camp during summer or winter, plan your days and nights. Know what you need, be prepared for emergencies, keep a first-aid kit that is specifically suited for helping you during cold weather; and unless you have experience and know what to do, don’t go on an expedition! Keep your car or trailer keys safe; you need to get back home. And the only way to do that is to ensure that your vehicle is well-serviced and equipped to withstand the cold and will start-up when you need it to! Fire-starters might be a part of your winter camping kit, but camping survival means you need to know how to start fire with natural elements as well. Birch and cedar barks are natural elements that can help in your endeavour; don’t forget the dry twigs. 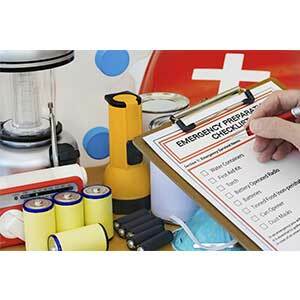 Newspaper, toilet paper, or any other note papers are things that could be your saviours during an emergency. Know where you left your vehicle and know where you are camping; if you think your trailer tracks or boot tracks could lead you back, you could be more than just lost! Have a sled to pull your things, snow boots to take you through the snow and learn some basic survival techniques to survive the cold. 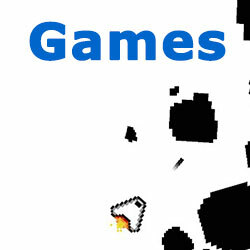 Be planned; your first winter camp might be the wrong time to experiment and learn! And so could your second or third! Gain some experience before you decide to venture further. Be confident, enjoy the weather, and don’t forget to take something to keep you entertained through the long and cold night! Winter camps can be one refreshing experience, if you plan to do the right things, the right way. Camping survival can be fun! Winter camps can be as fantastic as summer camps. Just plan well and prepare well before you set your foot on the snow.